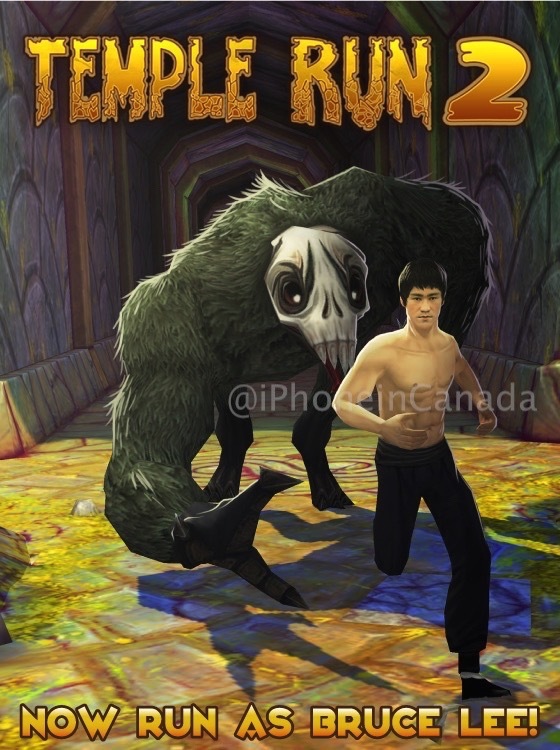 Image Studios has updated their popular mobile game Temple Run 2 with a new character: martial arts legend Bruce Lee. 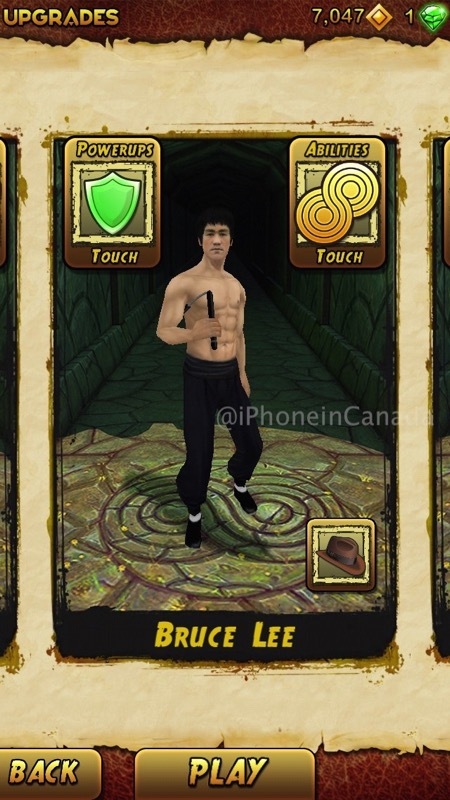 The martial artist is available as an in-app purchase for a limited time. Announcing a new special guest star – Bruce Lee! That’s right, you can now run as the legendary martial artist as you escape from your favorite Evil Demon Monkey! You can buy Bruce Lee for a limited time, but hurry, he goes fast! Also, get ready for Valentine’s Day with a special hat for your characters! Just find all the Valentine’s Day artifacts to unlock! Click here to download Temple Run 2 in the App Store, it’s free but powered by in-app purchases.